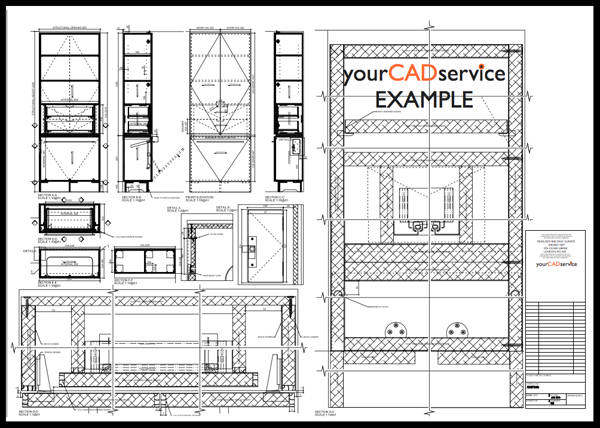 With the use of CAD and various other computer based software we are able to supply you with detailed drawings, cutting lists and purchase requisitions that can be trusted. 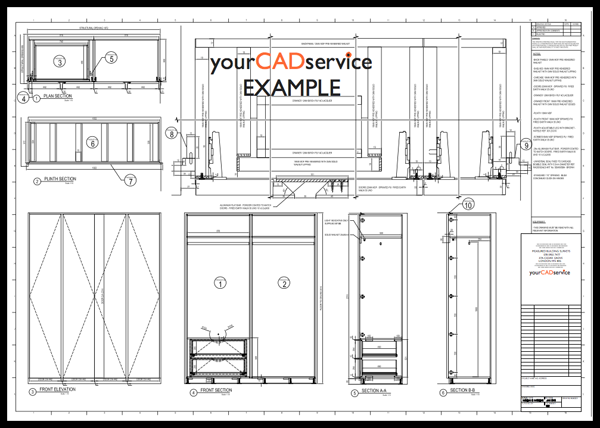 Our finest asset is the ability to produce scale and full size drawings for bespoke joinery or shopfitting. This is usually followed by producing cutting lists, and fully numbered drawings to identify all items on the cutting list. We can of course supply the drawings only if you prefer. From before we receive your order we will be asking for information about your working methods. 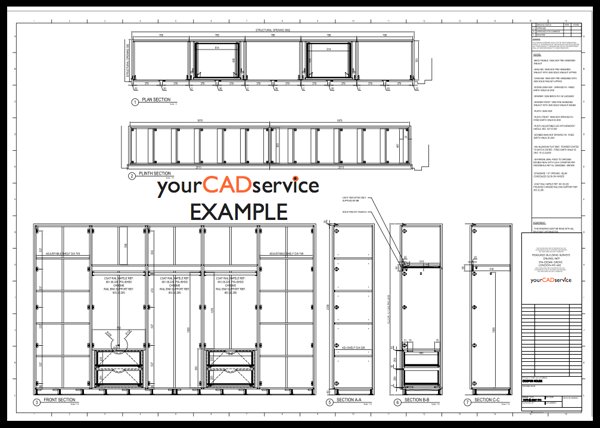 This allows us to adapt our setting out procedure to suit your requirements. Do you have a veneer press? Do you have an edgebander? What is the maximum size of sheet you can handle in your works? All questions that make a difference to how efficient we are for you.